Ese’: What are you two fighting about? Vance: John Titor over here insists that Mrs. Kirschner could beat Mrs. Segal in a tickle fight. Scooter: And Tweeky Dave over here says the opposite. Ese’: Dude, who do you think would win between Tyler’s Mom and Mrs. Segal in a tickle fight? I mean Tyler’s Mom has like biceps, but Dave’s wife is like really quiet, and those quiet ones are a time bomb waiting to go off. 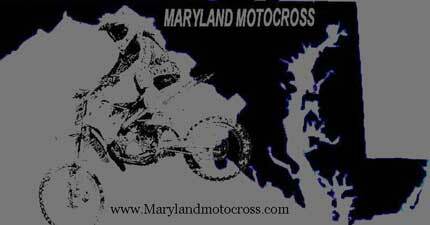 MarylandMotocross.com: Yeah, um, lemme speak to Alan, that Foo owe me like FitDee bucks. Nice lady: (Pause) I’m sorry. I think you have the wrong number. MMX.com: He ain’t camping out on da track hiding is he? Tell that Jive Turkey that the Berk Mobb don’t roll out of the hood looking to collect unless we gots some knee deep playahs packing gats and ready to drop some beans, ya feel me Sis? Nice Lady: (Laugh) Umm, I’m not sure that I do, but I’m sure you have the wrong number. MMX.com: (Laugh) Just kidding, It’s Ese’ from MarylandMotocross.com, just looking do an interview. Nice Lady: (Long Laugh) Sure, can you hold for a sec. Nice Lady: (Seconds later) He says you can call him on his cell, he’s on the track. MMX.com: Roger Wilco, thanks for your help and humor. MMX.com: Mr. DeCarlo, how ya doing it’s Ese’ from MarylandMotocross.com. AD: All right how have you been? MMX.com: Well I’m only 5’7” so I’m pretty mad at the world, but other than that, pretty good. You got a couple minutes for an interview? 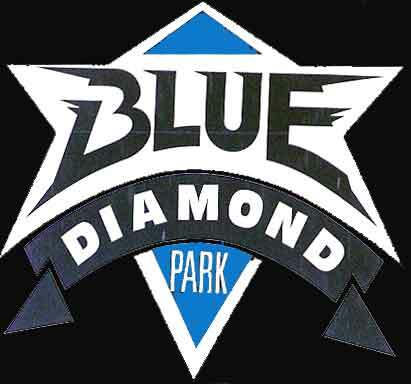 MMX.com: Mike and Kevin wanted me to get some information about the history of Blue Diamond and the “Viva La Bam” shooting, so lets start out with the history. The people must know: How did Blue Diamond come to be? AD: Weeeellllll, shhhhh, I don’t know. The people that own the land I talked about it one day and then just decided to build it. MMX.com: Oh okay. And how long have you been running the track? AD: Almost 2 years now. 2 years in August. MMX.com: Really? Wow, I know it's a real popular track. AD: Well, you know it’s good. MMX.com: What would you attribute the success of the track to? AD: It’s a challenging track, you know, I’m lucky to have a great staff and volunteers. MMX.com: Great, great. So do you ever ride? AD: Me? (Laugh) I haven’t rode for 20 years. MMX.com: What made you stop? AD: (Thoughtful pause, laugh) I dunno. MMX.com: I know The mann with the Black Socks, K. Duffy hasn’t rode in a long time too, do you think you, in your prime could have taken him in his? AD: (Laugh) I don’t think he ever had a Prime. (Laugh) Just kidding. Ummm, probably not. The Duff Mann was pretty fast. MMX.com: I’ve heard from his brother, Big Duff and others that he rode dirty, he’s even admitted it, and I’ve seen him bowl over an old woman to get to talk to Travis Pastrana, so I could see it, do you have any thoughts on that? AD: Hahahaha. I’d believe it to be true. You gotta keep an eye on that guy. MMX.com: I’d personally say keep 2 eyes on him. AD: Come to think of it Ese’ I’ve seen him ride here one time, on a 70 I believe, last fall. MMX.com: (Laugh) Oh yeah I remember that he looked like one of them clowns at the circus riding those tiny tricycles. I was waiting for him to start pedaling. MMX.com: Kewl. Kewl. Do any of your kids ride? MMX.com: You mentioned before that you had a great staff, can you give us some of the names on your “Dream Team”? AD: Sure: Jason, Rence, Matt, Matt (laugh), Matt Grace that is; Huckabuck, We have numerous volunteers, I couldn’t really name them all, but I know that without them, things wouldn’t run as smoothly as they normally do. MMX.com: Right, him too. This guy never wants to hold the MarylandMotocross sign, whad up with that homie? AD: I don’t know why, maybe he’s wanted somewhere or something and doesn’t want his picture taken. MMX.com: Someone says he just doesn’t like Maryland very much. AD: Uh, I don’t know about all that. He works here in Delaware and he lives here. Maybe he just likes Delaware more. MMX.com: Well, I’m just sayin’ he’d better dot his T_s and cross his I_s around me. So anyways, what was the whole deal with “Viva La Bam”? AD: One of my good friends, Tim, who’s a producer, gave me a call and said that they wanted to do a shoot down here because they had The Metal Militia coming. That’s how it all got started and they came down here and did 5 days worth of shooting. That’s how it all got started. MMX.com: Was it 5 crazy days? AD: Yeeeeaaahhh, 5 LONG, crazy days. MMX.com: Ahhhhh, so I guess you got to meet Bam, his mom, and his uncle? AD: Yup, I got to meet the whole gang. MMX.com: So tell us about this Don Vito guy. Is he as crazy as they make him out to be on T.V.? AD: Yes he is. Don Vito is the mann. MMX.com: Now, I see Bam fighting him all the time, how do you think you’d fare against him? AD: Ummm, if I could knock him down and run… I would. It is my understanding that there were some well-known motocross riders in attendance also. AD: Yes, Brian Degan, Todd Potter, Ronnie Faisst, one they call “Scummy”, which is Colin Morrison, and Stanley. MMX.com: and they were pretty much wowing the crowd with some freestyle tricks? AD: Yes. Plenty of freestyle stuff, backflips, huge jumps, and a lot more fancy stuff. MMX.com: I bet they liked that big triple you got. AD: Yeah they rode the motocross track too. They had fun. MMX.com: So it was cool having The Metal Militia and Bam’s crew there? AD: Yeah, it was fun. Different, but fun. MMX.com: So, what days and what times is Blue Diamond open? AD: We are open Wednesday thru Sunday. Wednesday, Thursday, and Friday we’re open Noon to 7. Saturday and Sunday we’re open 10-7. Those are Summer Hours. MMX.com: I know that you have a lot of vendors, people in sales, and other businesses out there, any specific ones come to mind. Names or things that they sell at your track? AD: The guys from Moto Jockey are here 5 days a week, most of the time. They sell parts and apparel. We also have Powersports, D&E Cycles, and a lot others. MMX.com: You’ve hosted many great riders and we’ve seen some spectacular races there. What rider would you say is the “Flavor of the Month” right now? AD: I’d say that Chad Wages has been at the top of the list here for this year. MMX.com: I am somewhat familiar with “The Ricky Martin of Motocross” that’s what those crazy kids are calling him these days. Your track has many riders like him, and you seem to be pretty good at keeping everything fresh for the crowd. Are there any changes, additions, or improvements that we need to keep an eye out for? AD: As far as the track goes, in the near future I plan on making some serious modifications. Just don’t want to release them for now. Gotta keep it secret. Don’t want anyone trying to copy off us. MMX.com: Yeah, well, we here at MMX.com know very well what that’s like. 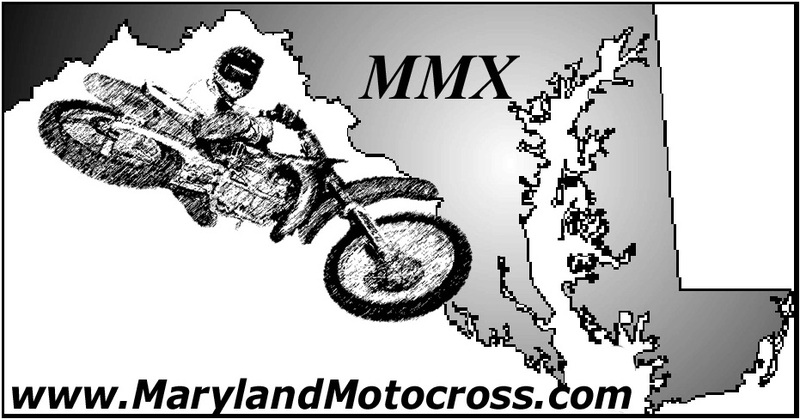 But, you heard it all here, a MarylandMotocross.com exclusive from Mr. Alan DeCarlo. MMX.com: Can you give us a time window or guesstimation as to when these changes may take place. AD: Well, I try to make changes before every race, but as far as the major ones that we have in mind; probably August or September. MMX.com: Are there any sponsors or people in particular that you’d like to send a shout out to? AD: Moto Jockey, Vision Graphics, Matt from Vision Graphics is going to be a future sponsor, Roosting.com, Pro Action in Allentown, Diamond Motorsports, can’t really think of anymore right now, but the list is very long. MMX.com: So did you get any face time with any of the “Viva La Bam” cast? AD: I sat down with Don Vito, Bam himself… pretty much all of them I had a chat with at some point. MMX.com: So were they terrors or did they seem pretty nice in person? AD: Actually, they were all very nice and extremely down to Earth, a lot different than they are portrayed on the show. MMX.com: Tell us about the Brian Degan incident. AD: He… did suffer a life-threatening injury here. He lost a kidney while doing a trick. He managed to tear an artery right off of it. MMX.com: That sounds really nasty. Wow that sounds almost as painful as watching Vance Bust-A-Move. AD: I’d think it was more painful than that. MMX.com: Well, you’ve never seen Vance dance obviously. So, how is Brian doing. Is he recovering good? AD: I spoke to him last week and he says that he is doing real good. He’ll be going to the gravity games this week and says he’s looking forward to seeing the rest of the militia there. He’s not riding, not for a couple months, but he’s confident that he’ll be back into it soon. MMX.com: Well, Allan, thank you for your time and your info, we look forward to seeing you and your wonderful staff, even HuckleBuckle. AD: (Laugh) Great, thanks and we’re always happy to have you and anyone else that would like to come out and see us.